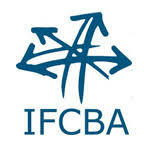 Welcome to the Customs Brokers and Forwarders Council Of Australia Inc. The Customs Brokers and Forwarders Council of Australia Inc. (CBFCA) represents the interests of hundreds of members across the international trade, logistic and supply chain management service industry. As a peak industry body, our influential voice allows us to advocate on behalf of our members, while also enabling us to provide members with high quality training and professional development. Our events provide networking opportunities between our members and other industry influencers including government representatives, experts and allied affiliates. If you're a customs broker, freight forwarder, cargo or logistics company or you're concerned with international trade, your membership with the CBFCA will provide you with the most up-to-date links, contacts and information. The secure Members' area of our website gives you access to additional features as part of your membership. Please sign in below with your username and password to access member-only content and your account details.